An estimated 50,000 children of refugees from Burma live in the Mae Sot area of Thailand, 80 percent with no access to schools. 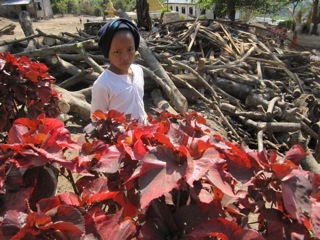 Among them are children from the Mon, Karen and Shan minority groups fleeing decades of political, economic and military oppression at home. These migrant populations along the Burmese border are largely forgotten, subject to harassment and have little access to support or education. Estimates are that with a near absence of economic, educational, health and job options at home, about 2 million Burmese have migrated to Thailand since 1988. 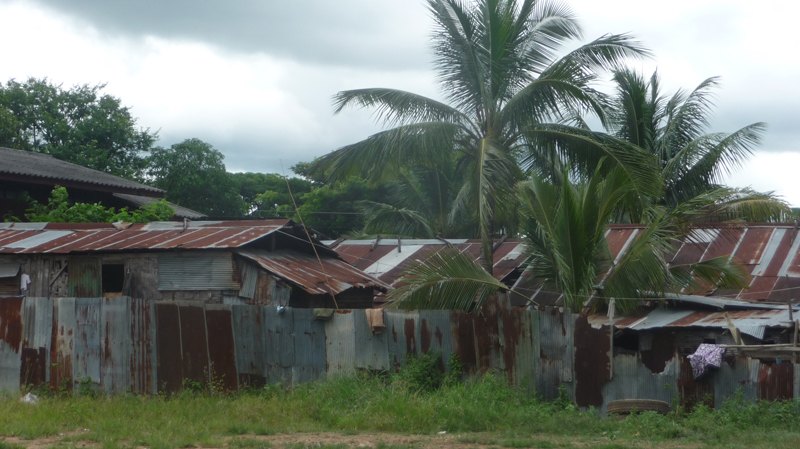 Of these, 150,000 are living in refugee camps, 500,000 are legal migrants and the rest live illegally in Thailand. Although the camps and borders are officially closed, an estimated 1,000 people cross into Thailand daily and this was evident on a recent visit to Mae Sot, with fighting raging just across the border. The illegal migrants are kept to just a few low-skill job opportunities. Most work as day labourers with no rights, no protection. They are commonly exploited and abused by employers, police, immigration and others with little recourse, according to HRW. Schooling options for their children are also limited. 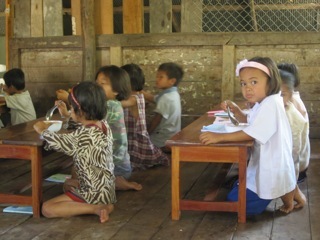 Places for them in local Thai schools are almost non-existent, although there are some limited Burmese “education centres” as the Thai government prefers to call them. In the Mae Sot area, Ashoka fellow Naw Paw Ray has worked hard to get Burmese children into some sort of schooling over the past 11 years. Of the 50,000 locally, she estimates 12,500 attend the 60 education centres, as they are called by the Thai government, gathered under her Burmese Migrant Workers Educational Centre network. BWMEC works to make sure the curriculum and facilities of the education centres under her umbrella are adequate for learning, providing training, funding, administrative support and school buildings or dormitories where necessary. 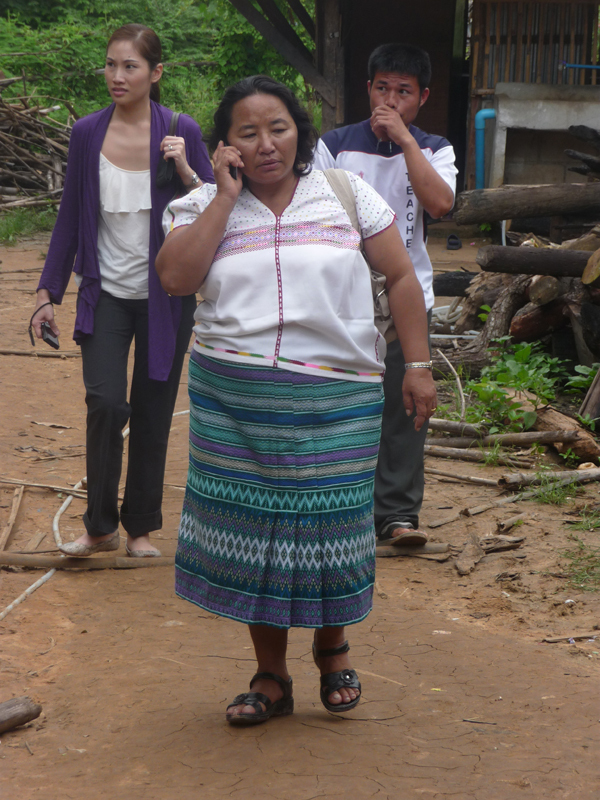 A migrant herself, Paw Ray’s story is fairly typical of the migrant Burmese community. She left Burma in 1986 when her village was destroyed by soldiers and entered a refugee camp in Mae Sot when they were set up by the United Nations a year later. In Burma, Paw Ray was a teacher but in Mae Sot she worked in a gas station until she said she could no longer stand to see the discrimination. “I could teach and I wanted to teach. 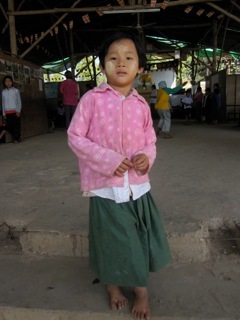 I wanted to do something to help my people,” she said, setting up a first school with just 25 Karen and Burmese students. Chosen as an Ashoka fellow in 2007, Paw Ray said that in her work she hoped to address the vast educational gap between Thai children and the children of Burmese migrant workers. Naw Paw’s schools hopefully give migrant children options – preparing them for a prospective return to Burma or integration into Thai society and culture – critical to establishing a pluralistic and tolerant Thai society. The idea is to pave the way for migrant schools, students, and teachers to gain public support and official accreditation in Thailand. No other organisation in Thailand fields such an array of minority schools or is doing so much to build a long-term solution to the growing number of uneducated migrant children coming to or born in Thailand each year. Yet like many good organizations, Paw Ray struggles to find adequate funding to support this forgotten community. And the problem remains, children attending the Burmese elementary schools have only limited access to Thai secondary schools for reasons related to cost, discrimination and availability. That limits future job opportunities and integration. So Paw Ray’s challenge remains: what is the best way to provide education to a migrant population that may or may not return home ?